Barcelona, 3 September 2015. 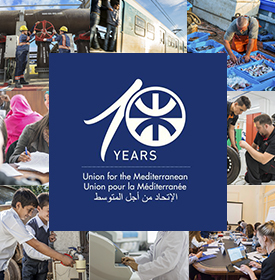 The Union for the Mediterranean (UfM) recently launched the Technical Assistance phase of the Urban Projects Finance Initiative (UPFI), with the support of the European Commission funding (€5 million) and in association with international financial institutions and donors. The purpose of UPFI is to identify and select sustainable and innovative urban development projects that offer bottom-up, regionally replicable solutions to the major urban development challenges the region is facing as a result of the important demographic shifts from rural to urban areas. Phase one of the Initiative involved selecting the projects and defining the Technical Assistance needed. The second phase will focus on implementing these Technical Assistance programmes with a view to ensuring the projects’ bankability by international financial institutions. At present, the UPFI has identified up to 24 projects in seven countries on the southern and eastern shores of the Mediterranean. Globally, these projects account for approximately €5 billion investment, which will be funded by international financial institutions operating in the Euro-Mediterranean region. This means that the total investment promoted under the Initiative (UPFI) is reaching 8% of the regional investment requirements that the European Investment Bank (EIB) has estimated for the next 20 years. According to this financial organisation, the Mediterranean basin will need an investment of €60 billion in urban infrastructure initiatives within the next two decades. The second pillar of the UPFI, the Technical Assistance phase, was officially launched in June with a workshop held at the UfM headquarters, in Barcelona. This meeting brought together for the first time all the actors involved in the UPFI— namely project promoters, financial partners and consultant teams. “The UfM Secretariat plays the role of ‘trusted third party’ amongst different countries and institutions in order to foster the exchange of information, assure project implementation and help cooperation logics to prevail, thereby making the initiative more efficient and the actions of each partner more transparent”,said Secretary General Fathallah Sijilmassi during the kickoff workshop. “The Urban Project Finance Initiative (UPFI) can set an example for other fields in which regional cooperation represents a real added value”, added Sijilmassi. By 2050, the regional population will double (646 million) compared to the population in 2010 (357 million). And in the 2030 horizon, nearly 80% of the Mediterranean population will be concentrated on 10% of the land — predominantly urban areas along the coast. Thus, the Euro-Mediterranean region is facing important demographic shifts with rapid urbanisation, which present a major regional challenge calling for collaborative solutions, regional approaches and public-private partnerships. In the words of Guy Fleuret, UfM Managing Director for Transport and Urban Development, “the new approach of UPFI lies not only in the support and the consensus building amongst the different stakeholders taking part in the process, but also in the integrated approach as UPFI projects seek to develop regional capacities by leveraging synergies across social, economic, infrastructural and sustainable dimensions”. Presently, three UPFI projects have already been labelled by the UfM and a new one may be labelled in the Mashreq in the coming months. In addition to the support of the UfM member states, the labelling facilitates access to finance and technical support. Imbaba Urban Upgrading Project (budget €100 million): This project aims to strengthen the integration of Imbaba, one of the most populated and unplanned urban areas of Egypt, with the city of Cairo by providing its 700,000 inhabitants with basic facilities, infrastructure and services. Sfax Taparura Project (budget €403.2 million): Sfax is the second biggest city in Tunisia and the most important industrial and commercial centre. After the northern coast depollution following contamination caused by the local phosphate industry, the project foresees the rehabilitation of its beaches and the development of 420 hectares of land to extend the metropolitan area. Bouregreg Valley Development Project (budget €394 million): With a view to achieving social diversity and sustainable development, this project in Morocco will develop new professional and residential neighbourhoods, public amenities and spaces such as a metropolitan hospital and the rehabilitation of Chellah, in addition to other environmental actions. 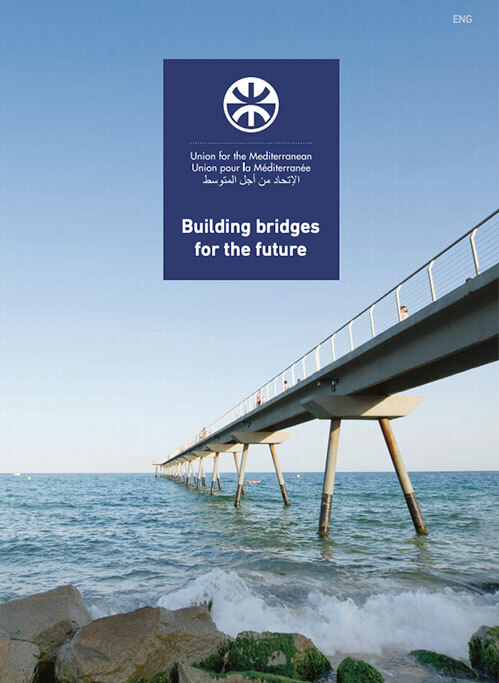 UPFI is one of the pillars of the Euro-Mediterranean Sustainable Urban Development Strategy, as stated in the declaration of the First Ministerial Conference of the UfM on Sustainable Urban Development, held in Strasbourg on 10 November 2011. The initiative was launched during the Senior Officials Meeting on 7 April 2014, and received the endorsement of the representatives of the 43 UfM member countries. Under the umbrella of the UfM Secretariat, UPFI is managed by the French Development Agency (AFD) and the European Investment Bank (EIB) with the support of the European Commission. The KFW Development Bank, the Caisse des Dépôts et Consignations (CDC), the European Bank for Reconstruction and Development (EBRD), and the Finnish Development Cooperation Organisation (Fida) are closely associated, whilst other IFIs and investors have expressed interest.